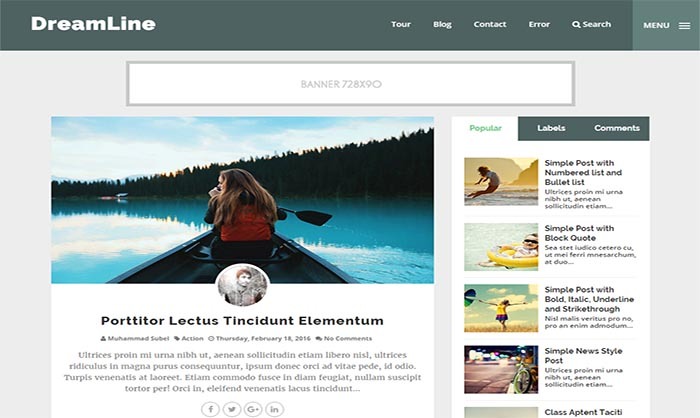 DreamLine Blogger Template is ideal theme for Personal Blogs. If you are looking for simple and responsive design them then this is one of the best choice for your blog however if you got worry that you need to change colors by using HTML language then don’t worry because you can do all that stuff by using simple drag and drop tools. We’ve implement different stylish widgets in this theme as well as we’ve also created its layout full user friendly so you can easily add and remove widgets by simply using drag and drop options.